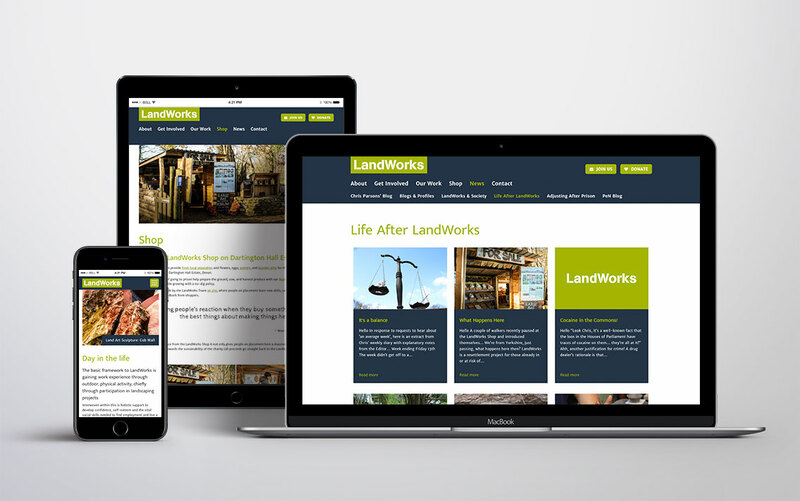 LandWorks is a ground-breaking training project that supports those in prison or at risk of going to prison (‘trainees’) away from crime and back into their community through intensive, long-term placements. They have been running for almost 5 years and have an exemplary track record of reducing reoffending and empowering some of the most marginalised in our society to live more fulfilling and independent lives. Working directly with our local prison, police and probation services, LandWorks provides life-changing placements (for an average of 6 months but this is flexible) that are individually-tailored to tackle the root causes of offending. Replicating a working day structure, trainees develop practical skills in woodworking, vegetable growing, landscaping, construction, cooking, and arts & crafts. Designed and built a website, Search Engine Optimisation (SEO), Mobile Responsive, Website Hosting. The contemporary, clean design is striking and yet simple to use. Combining a very visual design which allows for a clear path through the website to various types of content. A fully responsive WordPress website that multiple admin users can control and update also enabled existing content and news archives to be transferred across and the URL structure maintained for search engine optimisation value. 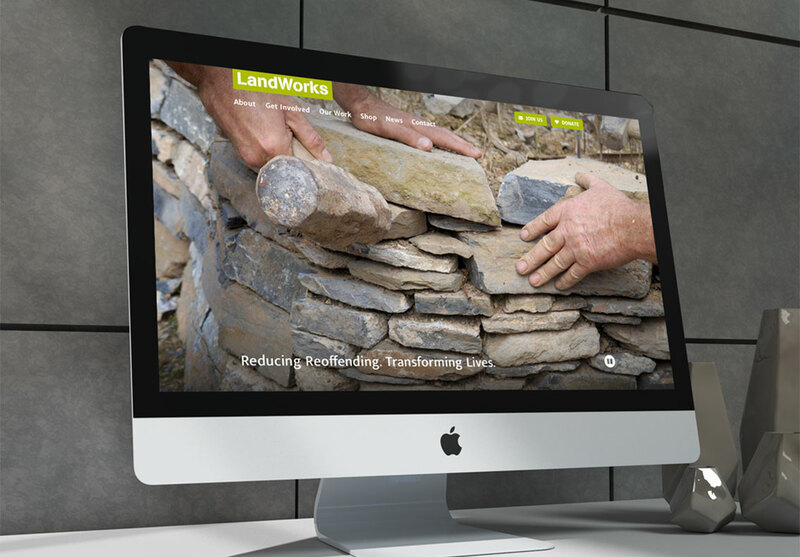 "So very glad we chose Hoot Media for the new LandWorks website. As a charity we had to go through the process of gathering many quotes, and although Hoot wasn't the cheapest (or by far the most expensive), we were so impressed with Tom's understanding of our brief, and the positive 'anything's possible' approach, that we decided they would be good value for money. I'm really impressed with the efficiency and ease at which this website has come together - highly recommended."